We all have been waiting for the release of Nvidia’s flagship Fermi Model, the GTX 590. We have witnessed multiple delays at this point, and now we will witness one more. The GTX 590 will be released on March 24th now, so those of you who wanted to get your hands on this card will have to wait a little longer. As we know, only Asus and EVGA will be the makers of this card in the USA. In other countries, this may not be the case. Nvidia has employed a dual vapor chamber cooling solution with a single fan in the middle. In an uncommon move by Nvidia, the top of the card is removable, so that everything can be cleaned easily. Both GPUs will be on a single 12 layer 2oz PCB Board and will be downclocked. This will effectively lower power requirements, as well as heat produced by the unit. This unit will have the usual high end features – three DVI Outputs, 3D Vision Support, etc. Just like AMD’s 6990, you will need at least a 750w power supply to run this card. I would recommend that you have a power supply that is at least 80+ Plus Bronze. Expect to see Nvidia face similar driver issues for a little while they work to get the kinks out. Just like AMD, both companies are surely rushing their product out. 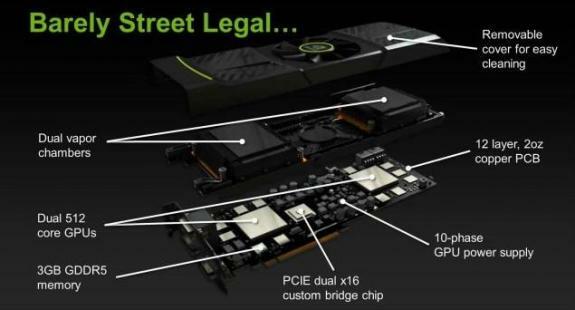 Let’s hope NVidia is able to overcome the woes that is evident in AMD’s 6990. If Nvidia does, you will be sure to find a GTX 590 Review from us over here at Geek Montage. And yes, the price is still unknown. A good rule of thumb is to take AMD’s price and add a little bit more to it. Interestingly enough, Nvidia has just come out with a teaser video for a mystery announcement. You will be able to find what is in the “hidden box” within the next few days. I know I am wondering! Could it be the GTX590 or the GTX 600 series? I think so. The official price of this card will be $699. This will allow it to be competitive with the 6990. People have been asking what the OVZ Vertex 3 Release Date is. Is your drive freezing or crashing? 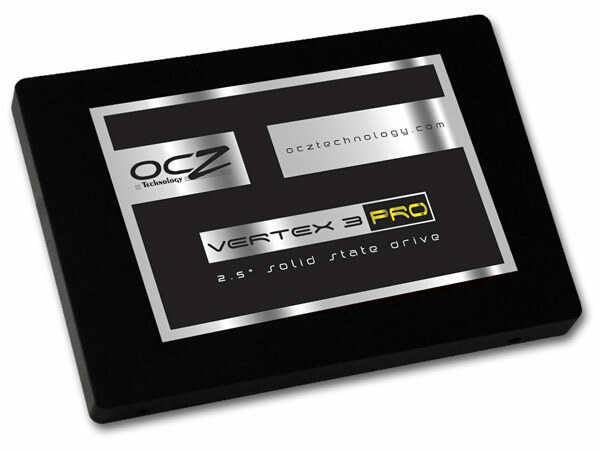 Read our OCZ Vertex 3 Crashing, Freezing and Stalling Fixes here. Still looking at getting this drive? Well you can read our OCZ Vertex 3 MAX IOPS Edition Vs Regular Edition article here to help you with your decision. *Update 4/29/2011 10:00AM* OCZ Has released the MAX IOPS Edition of the Vertex 3 Drives. Read more about it and find out where to buy it by going to our OCZ Vertex 3 IOPS vs Regular Edition Comparison page. *Update 4/6/2011 9:30AM* Newegg now has all three sizes – including the 480gb model. You will have to grab them before they sell out. *Update 4/1/2011 8AM* Some people are purchasing this item at B&M Stores now. It is now showing on Newegg’s website. You can go there now to order it or use Amazon by using the links below. *Update* The 3/23/2011 date was actually when OCZ plans on beginning the shipments to vendors. You will probably have to wait to the end of the month to get your new drives. We apologize for the confusion. For the best price you can pre-order it now at Amazon now. The shipping date will update once Amazon receives their first batch, so it won’t be the 1 to 2 months as recorded. Additionally, if the price lowers, they will honor it. You will be locked in that price even if it raises. I recommend pre-ordering because prices may raise as a result of the Earthquake in Japan. You can donate to the Redcross to help people in Japan by going here. I will also have a review for you, since I will be purchasing it the day it comes out so you will be able to see how the final version performs on a Sandybridge Rig. I will update this page once I confirm the release of the product. Let’s hope that OCZ didn’t pull a fast one and push it back.